iLok is a portable USB device that handles software authorizations and can be purchased separately. Besides the Machine Activation, our plug-ins run with a 2nd generation (or newer) iLok USB device which must be plugged into your workstation if you choose this authorisation method. When plugged into your workstation, our software will recognize your license and you can work with it. 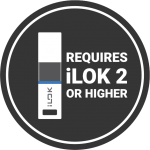 How does authorizing with iLok work? When purchasing our plug-ins, you will – in a separate email – receive a license activation code that you have to link to your iLok account and to your iLok device. If you do not already have an iLok account set up, visit iLok.com to create an account and your unique iLok-ID (scroll down for a tutorial video). The licenses on your iLok device are managed through a free app called iLok License Manager. Download and install the free app from the manufacturer website at iLok.com. Plug your iLok USB device to your computer and start the iLok License Manager application mentioned in step 2. Select your iLok USB device as the activation location to immediately activate the license on this iLok and confirm the location (scroll down for a tutorial video). What if I don’t have a 2nd generation (or newer) iLok USB device? If you don’t have an eligible iLok, you can use the Machine Authorization. If you prefer the iLok USB device authorization, an iLok device can be purchased directly at ilok.com or – if you want to purchase from outside the USA – here. Additionally, you can get an iLok device from any music or audio software retailer.